Appraisers deal with Direct Bank Lenders and Appraisal Management Companies, (AMC’s), during the mortgage lending process. Whether the lender orders through their own in-house ordering department OR through an AMC, the potential borrower pays for the “Appraisal Fee”; however, the Appraiser’s client is the Lender. In the case of an AMC, part of the fee paid goes to the AMC and part to the appraiser. The appraiser works as an Independent Contractor. 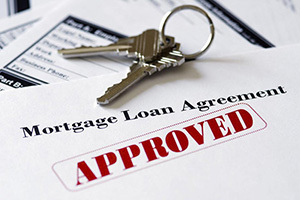 Once the appraisal is completed and turned over to the Lender, that Loan Officer will work with their potential borrower to get the best loan for that borrower’s financial situation. In MORE cases lately, lenders will tell a customer that they do not NEED a full appraisal. If you are BUYING a house and your lender says you do not NEED an appraisal, what they mean is that you do not need one for the loan; however, every person who is a BUYER should get an appraisal of their own if their lender says this. HIRE your own appraiser. Ask your Realtor to recommend three appraisers and call each one and explain the situation to them. Remember, a Valuation is NOT an Appraisal. A lender does not know the difference!